#UhuRutoInTransNzoia : President Kenyatta promises Goodies to the TransNzoia residence as he hunts votes. - Bana Kenya News, Real African Network Tubanane. 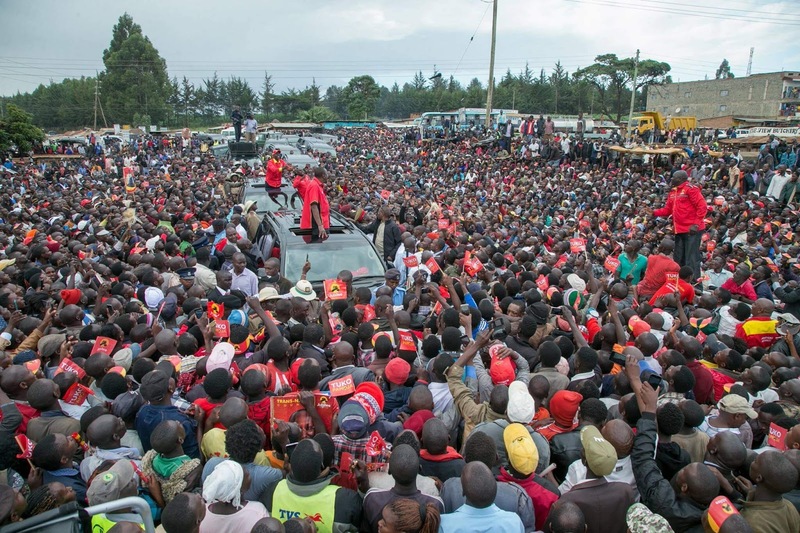 Home News #UhuRutoInTransNzoia : President Kenyatta promises Goodies to the TransNzoia residence as he hunts votes. #UhuRutoInTransNzoia : President Kenyatta promises Goodies to the TransNzoia residence as he hunts votes. The President Uhuru Kenyatta was in TransNzoia soliciting for votes. He promised so many things that the residents will smile after the general elections. Some of the promises in general include; Women Empowerment, Youth funds, Water shortage and addressing the land issues. The Kitale level 5 hospital has been upgraded to improve health services in the region, provided milk coolers, build a bull station in Kitale to improve dairy farming in TransNzoia. The improved healthy infrastructure will enhance resident to get more sophisticated medical problems solved with the county. The Jubilee government has also invested in water projects in Transnzoia to curb water shortage in the region. The Government has opened 5 million TransNzoia millers inorder to increase Agricultural productivity in the region. General Ababu Namwaba is ready to deliver Western Kenya to Jubilee, they cannot afford to stay out of Government again. Ababu Namwamba who decamped ODM is speculated to be a strong Jubilee leader in Western which it is percieved by the residents as a betrayer to the community.